Electric underfloor heating mats are an ideal solution for adding floor heating with minimal or no disruption. The mats have an adhesive back and are fitted to the floor (ideally over insulation or ‘backer board’) before levelling compound and/or tiling. Various floor coverings can be used (see technical document) but tiles give the best performance. Heating mats are designed for floor warming and may not supply enough heat for the room depending on heat loss. For full room heating and reasonable warm up times, you would normally require 30% heat input to the floor greater than the heat loss calculation for that room. 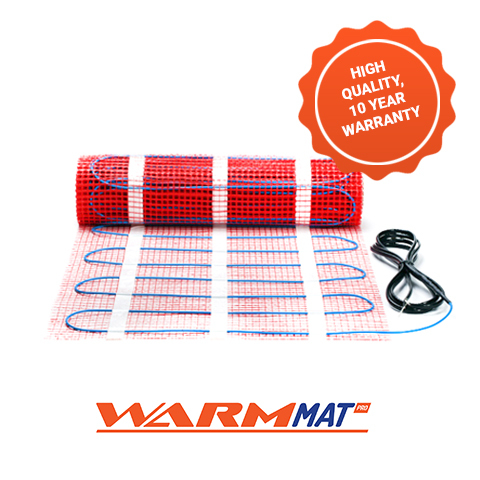 High quality, 10 year warranty 150W/m² electric underfloor heating mats. 150W/m² Premium Dafoss Electric Mats. 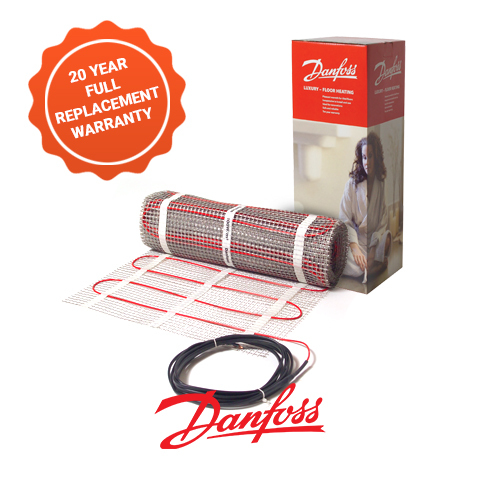 Highest quality and unrivalled 20 year full replacement warranty. 100W/m² and 200W/m² available to order. 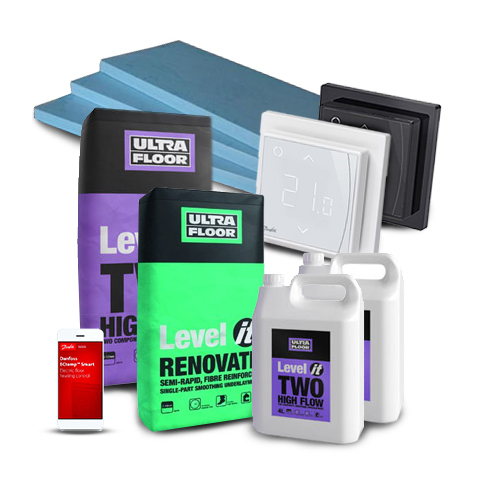 Electric underfloor heating accessories from levelling compound to XPS insulation, thermostats and more.